When I was in elementary school, my mother, who observed me constantly scribbling on paper, told me I should never write anything down that I would be embarrassed to have the world read. She gave me this warning back in the day when both manual and electric typewriters were primarily considered office equipment and there were no digital devices available for composing and sending messages through space. Moreover, the technology did not exist for desktop and portable computers which could store countless volumes of random thoughts. Back in those olden days, I was what you might call a stream of conscious writer, putting my ideas and fancies into notebooks. And, my mother perceived a danger in this. As a child I did not realize that such eclectic and responsive writing could be classified as therapy. All I knew was that writing was for me a necessary extension of myself. I wrote about things I thought about—things that hurt my feelings, desires for revenge, wishes, and whatever else that made me tick. The same is true today. I write about things that trouble me, about fantasies that intrigue me, etc. ; and, in the process, I exorcise demons and find ways to improve good and bad situations. Of course, over the years, there have been times when the wrong people have gotten hold of some rant I’ve written and used it against me. The trouble my mother perceived so long ago has been proven time and time again as prophetic. And so, over time, I have become more careful in protecting my private thoughts. Still, the digital world has caused me a huge setback. The world-wide web, rife with hackers, has become my biggest challenge. Based on recent experience, I know first-hand that the internet is no place to vent. Back in 2010, I went online and filled out a form posted by a self-proclaimed “ethics investigator.” I asked this expert about the ethics of a local prosecutor who would not assist me in finding out who was hacking my cell phone. I also invited comments from visitors to this “legal” website. In my post, I explained that there was a person who was remotely using up data on my phone and that this person had caused my cell phone, while it was lying dormant inside my pocketbook, to dial my landline phone. Since that ethics question was posted in 2010, it has stayed prominently associated online with my name. Someone must be very interested in this post; yet, there has never been a response to my query, either from the ethics investigator or from one of his visitors. I felt hopeful when I first posted the question, but its staying power as an online item both puzzles and bothers me today. Do I regret putting a sensitive question into the public sphere, which has the life span of dirt? The answer is yes. But, on the other hand, my life has been greatly enriched by the caveat my action provided. As result of my experience, I will consider the thin line between public and private communications when it comes to social media in the future. Now, I face another consideration: Do I have to slash and burn my electronic diaries? After being hacked, I believe I should. Unfortunately, the loss of this private writing could translate into a loss of wisdom and hamper my growth as a writer. The only solution may be returning to pen and pad. But, even that may not work if someone really wants to get me and invades my home. Farfetched, you say? When confronted with the choice of writing freely for emotional release or not writing things I don’t want to share, I have to choose writing anyway and taking the precaution to keep those ideas off the web. Abuse knows no boundaries. It doesnât care if you are rich or poor, old or young. It can enter your life at any time and stay as long as you let it. In One Month Week Day Hour Minute Second, author Rebecca Marie discusses that the key is to release the secrets, talk about the abuse, and take the power away from the abusers. 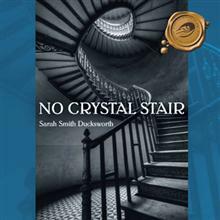 In this memoir, she shares her personal journey surviving sexual and physical abuse, describing how abusive patterns started at a young age, how negative self-esteem continued to grow, and how it ended in her falling in love with a psychopath. 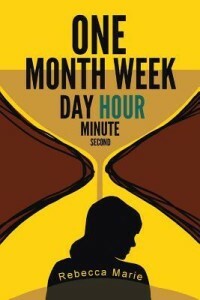 One Month Week Day Hour Minute Second narrates how Marie was victimized and lived in daily fear and despair, but discusses how she chose not to remain a victim and took power over her own life. Hoping to break the cycle of domestic abuse one victim at a time, Marie tells her emotional story to call attention to the problem of domestic violence. Her story shows there is hope for others. There is always hope! Escaping abuse and domestic violence. Hoping to break the cycle of domestic abuse one victim at a time, I tell my emotional story to call attention to the problem of domestic violence. I am a person just like you, as a matter of fact this could very well be your story or someone you know. I have experienced every emotion in my life from extreme happiness to deep sadness. I have made mistakes and I have had success. I believe that as long as we learn from our life experiences and keep growing from them, that we become the people we are meant to be. There is a myth out there surrounding âDomestic Violenceâ that only certain social classes suffer from this epidemic. Abuse knows no boundaries. It doesnât care if you are rich or poor, old or young. It can enter your life at any time and stay as long as you let it. In One Month Week Day Hour Minute Second, I discuss that the key is to release the secrets, talk about the abuse, and take the power away from the abusers. 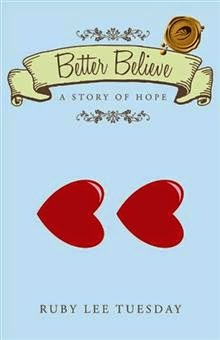 In this memoir, I share my personal journey of surviving sexual and physical abuse. I describe how abusive patterns started at a young age, how negative self-esteem continued to grow, and how it ended in me falling in love with a psychopath. One Month Week Day Hour Minute Second narrates how Rebecca was victimized and lived in daily fear and despair and discusses how I chose not to remain a victim and took power back over my own life. I had tried leaving my husband before, but each time I would return back to him. I felt like he was becoming much more violent, much more unpredictable, and to continue on like that, I couldnât do it anymore. I had to face the reality that if I stayed in the situation, I was going to die. One weekend, my son and I went away to my motherâs house. I had no intention of leaving my husband at that time, but after he kept calling and arguing with me, accusing me of leaving him, I soon realized that he might be right. I got the courage to say, âYouâre right, Iâve left you.â I reached out to a distress line, which in turn put me in contact with a shelter within my area. The turning point was realizing I could not do this alone, and I turned it over to those social workers and the people who deal with domestic violence on a regular basis. We canât do this alone. Thatâs a really important message in this book. Anybody whoâs survived abusive situations has a lot of strength. Thatâs what gets us through. Thereâs a time though when you have to let somebody else have that strength and you have to trust in the professionals. Anybody who believes no matter how small your children are, and no matter how well you think youâre sheltering them, every child knows whatâs going on. The shelters are instrumental in helping the children. Thereâs counseling available for the children because itâs not just about you, it has an impact on everybody. 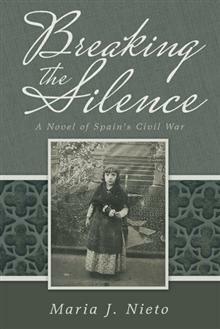 Writing this book was very therapeutic, I was able to relive some of those unfortunate moments by writing about them. Iâve done a lot of therapy around it, and of course when youâre going to therapy one of the biggest things they tell you is write about it, journal itâ¦when I was writing the book, it brought those feelings back again. There are some graphic details in the book, and I wanted to make sure I did it that way. Put it out there because Iâm not the only one who has gone through this or is going to go through this. Again, it was hard to do, but what kept me going was it was important to be 100 percent upfront. The only way that this book would hold the power I truly wanted it to hold was to make sure I held nothing back, and Iâm proud of that. What I want people to take away from my story is that there is hope and resources available. Stop feeling ashamed. The abuser wants you to be ashamed and to isolate you. The other thing I want to make clear is if you know of someone going through this, be there for them, donât be judgmental. I want society to not turn a blind eye; if you witness abuse, or know of someone suffering, please reach out to get the victim help. Review: From the first page to the last, readers are pulled into her story, and watch the cycle unfold. Rebecca masterfully walks readers through her storyâtheir storyâand serves as an inspiration to women around the world. We are often judged by how we look, and the first thing people notice is a smile. In The Hidden Truth Behind Beautiful Smiles, author Dr. Zack Zaibak tells how modern cosmetic dentistry can transform ordinary smiles into stunning gorgeous ones. Dr. Zaibak, honored by the Consumers Research Council of America for the last five years as one of America’s top dentists, discusses important issues relating to dental health and improving your teeth, your smile, and your self-esteem. Dr. Zaibak has been featured on national and local media outlets including ABC, WGN Superstation, Fox and Univision, and has served as an expert commentator for the Chicago Sun-Times. He is also a provider of cosmetic dental care to winners of beauty pageants. People with bright, beautiful, and healthy looking smiles are seen as more attractive, competent, and happier. In fact, a dazzling, radiant smile can make all the difference in romance – as well as career success. In only two visits, you can gain a sparkling white, perfectly shaped, celebrity smile as modern innovations make your dental visit a satisfying, comfortable, and even enjoyable experience. Dr. Zack Zaibak’s all-inclusive book unveils the hidden truth about today’s state of the art choices in cosmetic dentistry for creating smile makeovers and gorgeous Hollywood Smiles, including Lumineers porcelain veneers, Invisalign metal-free braces, teeth whitening, bonding, implants, crowns, bridges, Snap-On Smiles and gum lifts. The health of your teeth and mouth affect the well-being of your entire body. The Hidden Truth Behind Beautiful Smiles reveals the secrets to enhancing your teeth to produce an exquisite, engaging smile that will positively transform your self-image and your life. Question1- What was the craziest or insane thing that happened to you in the book publishing process? Becoming a bit of a celebrity. I’d previously been interviewed on news programs and a variety of TV stations, but now I was finding those interviews to be more numerous, especially on radio where listeners could call in with questions. I particularly liked interacting with them. You could tell many callers were very sincere as they’d been dealing with less than attractive smiles or medical issues for their whole lives. For them to know there is hope and ways to genuinely give them the beautiful smile they always dreamed of has been extremely gratifying to me. The same thing that I speak about in my book: That ANYBODY can have an amazing and gorgeous smile today with modern, state of the art dental technology! It is a world away from what dentistry used to be. It is surprisingly easy, practically painless, and can transform most anyone’s smile and their life. Question4- What is something people may be surprised to know about you? That I’m also an officer in the United States Naval Reserve… that I love scuba diving… that I love riding Arabian horses. Not your typical dentist kinds of things. Question5- What are 10 words that best describe you? Passionate, caring, artistic, meticulous, professional, steady, curious, warm, humorous, and perfectionist (but in a good way!). Zack Zaibak, MS, DDS, is a licensed general dentist in the state of Illinois and one of the top practitioners of advanced cosmetic dentistry in that state. Honored by the Consumer Research Council of America as one of America’s Top Dentists, Zaibak has the latest advanced training and certification in Lumineers, Invisalign, and laser surgery. 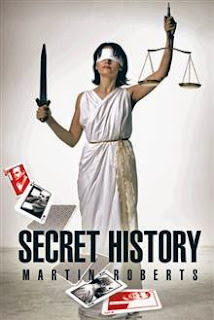 Secret History by Martin Roberts Book Feature! This book is a fascinating account of a number of criminal cases in the United States and in the United Kingdom, some of which resulted in wrong convictions. The book is part narrative, part analysis. The analysis, in particular the demolition of the reputation of Whittaker Chambers,ex-spy and idol of many Americans (he was awarded the Presidential Medal of Freedom) will arouse debate and rethinking of the real lessons of the cases. The British cases will shock the complacency of many British people. Both parts are relevant to the current debate on how to deal with Islamic terrorists, whose fanaticism recalls that of the IRA and supporters of Communism. The book includes an analysis of Communism and the way in which its supporters manipulate fact for their own ends. Martin Roberts is a British subject living in Belgium. He began to study contested verdicts in criminal cases when he started to study for a law degree, and this book is the result. He trained as an archivist and worked in that field for 26 years. This has given him a lot of patience and a bit of scepticism about what records tell us. He has sought to make his book user-friendly by quoting online sources and allowing the reader to find his way through the facts and arguments to reach his own conclusions. Martin is giving away a $25 Gift Card!